Engulfed by terrorizing apparitions, a schizophrenic housewife kills off each, unknowing if these demons are merely figments of her hallucinatory imagination or part of reality. At the ripe old age of 45, Robert Altman achieved mainstream success as a movie director with 1970’s M*A*S*H. He followed that hit with two more well-regarded films: Brewster McCloud and McCabe and Mrs. Miller. 1972 brought Images, an effort that now seems to be largely forgotten. Until I received this Blu-ray, I’d never heard of it and I assumed it predated Altman’s “golden era” of the 1970s. The discovery that it came smack-dab in the midst of such a good run surprised me. Though I’ve never been a huge Altman fan, his presence behind the camera seemed like enough to plop Images in my Blu-ray player. Cathryn (Susannah York) starts to decline mentally, so she and her husband Hugh (Rene Auberjonois) go to their isolated country cottage in hopes she’ll recuperate. While there, Hugh seems preoccupied, and Cathryn continues to show signs of mental deterioration. In particular, she appears to suffer from hallucinations, a factor that makes her increasingly unstable as she finds it difficult to separate reality from delusion. Apparently Altman came up with the idea for Images in the mid-1960s, and the project’s roots show, mainly due to the film’s vibe. While it doesn’t go full-on “psychedelic”, Images comes with a trippy feel that would seem at home in a slightly earlier era. Images also shows one notable influence: Roman Polanski. 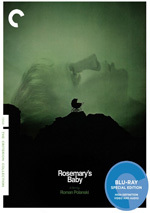 The film brings us the kind of psychological thriller found in classics like Rosemary’s Baby and Repulsion. Given Altman’s usual cinematic MO, a film in the Polanski vein seems like an odd fit, and that notion proves true during the inconsistent Images. Though I don’t view the movie as a failure, it feels more like an erratic experiment than a well-thought-out effort. As I mentioned earlier, when I first heard of Images, I figured it was an early Altman piece, not something shot after he attained fame. As I watched it, I felt the same way, as the movie comes with a roughness that seems more in keeping with a first-time filmmaker than a veteran. Okay – that might be inaccurate, as Images doesn’t appear amateurish, and it boasts occasional strengths. During the first act, the film keeps the viewer on edge and uncertain of what to believe, facets that create a good sense of tension. However, Altman stretches this material too thin, as he just doesn’t have enough substance to flesh out to 101 minutes. Images feels like a project that would work better as a 20-minute short than as a feature-length effort. Because of this, the viewer seems likely to tire of Images well before it ends. Altman’s attempts to provide an off-kilter world don’t come across as intriguing or involving. Instead, our view of Cathryn’s ups and downs just feel tedious. There appears to be little real depth or meaning, as the movie simply flits from one supposedly unnerving scene to another without much punch. Again, I find some positives here and think that a much shorter version of Images might’ve succeeded. Spread out all the way to 101 minutes, though, the film grows stale well before the end credits roll. Images appears in an aspect ratio of approximately 2.35:1 on this Blu-ray Disc. Though dated, the image appeared generally adequate. Sharpness usually seemed solid. Occasional instances of softness interfered at times, but those moments appeared modest and appeared related to the original photography. I saw no examples of moiré effects or jagged edges, and the presentation seemed to lack evidence of edge haloes. Source flaws also failed to create any distractions. Some shots were awfully grainy, but that stemmed from photographic techniques. Colors came across as a bit dull and dingy, but as with other “concerns”, I suspect a lot of that came from the source. The movie went with a blue-oriented palette that looked lackluster but not bad. Black levels usually stayed fairly deep and dense, while shadow detail showed positive consistency. Ultimately, Images provided an acceptable visual presentation given the nature of the source. As for the LPCM monaural soundtrack of Images, it was perfectly adequate for its era but not much better than that. Speech sounded intelligible and clear, though the lines tended to appear a little reedy at times. The movie offered a moody score, and these elements came across reasonably well. While the music lacked great range, it seemed clear enough. The effects represented the source elements in a competent manner. These elements offered reasonable accuracy without great punch. All of this was good enough for an age-adjusted “B-“. We get a selection of extras here, and we open with an audio commentary from film writers Samm Deighan and Kat Ellinger. Both sit together for this running, screen-specific look at story/characters, genre areas, cast and performances, locations, themes and interpretation, and connections to other films. Deighan and Ellinger don’t provide a nuts and bolts look at the production, as they instead concentrate on more introspective areas. They do a good job of this and deliver a rich, insightful view of the film. The set also provides a scene-select commentary with director Robert Altman. This covers 35 minutes, 52 and offers Altman’s remarks about… not much. Altman rarely speaks, and when he does, he essentially narrates the movie. One can safely skip this pointless commentary and miss nothing. 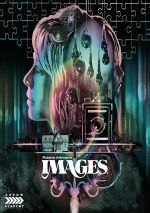 Next comes Imagining Images, a 24-minute, 31-second featurette that provides material from Altman and cinematographer Vilmos Zsigmond. We learn of the project’s roots, casting and performances, story/characters, locations, photography, music, and general reflections on the film. Though Szigmond pops up briefly, “Imagining” mainly concentrates on Altman, and he offers some good notes – especially when he semi-defends this obscure film. After the disappointing Altman commentary, “Imagining” becomes a satisfactory program. An Interview with Actor Cathryn Harrison runs six minutes, four seconds and brings Harrison’s views of how she got her role and aspects of her experiences. Harrison brings us a quick but informative collection of memories. Musician/author Stephen Thrower provides an appreciation of Images. This piece lasts 32 minutes, 26 seconds and includes Thrower’s thoughts about the film’s roots/development, locations, influences, and aspects of the movie’s production, release and legacy. Thrower echoes some of the commentary’s notes but he manages enough new material to turn this into a useful show. In addition to the film’s trailer, we conclude with a booklet. It provides photos, credits, an essay from critic Carmen Gray and a 2006 Altman interview by David Thompson. The booklet completes the package well. Given that Images came out during Robert Altman’s “classic run” during the 1970s, one might expect a semi-classic. Instead, we get a plodding, inconsistent stab at a psychological thriller that runs far too long for its own good. The Blu-ray provides acceptable picture and audio along with a decent set of supplements. Altman buffs will want to see Images for curiosity value, but they shouldn’t expect greatness.